2. New drivers can lead to long-term clients and referrals. Many agents don’t want to ‘waste’ their time on new drivers or drivers that are getting insurance for the very first time. There have been many studies done that have shown many consumers have loyalty to the company and persons who provide service to them for the very first time. First time clients have the potential to become long-term clients. Further, many first time insurance shoppers will most likely refer you to their parents or other family members. While the new driver may not be the ‘ideal’ preferred client, they may refer you to one and even become one someday. It is important to never turn down someone just because they are a new driver or are looking to get insurance in their own name for the very first time. 3. Have whoever is answering the phone be pleasant and be the best representative of your brand and agency. If you are selling auto insurance, with the use of auto insurance leads or auto insurance calls, it is important that the person answering the phone is pleasant, upbeat and friendly. If you have a receptionist answering your phone and routing the calls to the insurance agents in your office, the receptionist must be considerate of the callers time and needs. Many times insurance callers or insurance leads are in a hurry, they want to speak with someone as soon as possible, the receptionist must have a sense of urgency and get the insurance callers to an agent with undue haste. 4. Don’t assume that every call will be a single call close. While a majority of the insurance calls and insurance leads may result in the caller accepting your quote on the initial call, many will want to think about it, compare it to other quotes or even talk to a family member or friend before making a final decision. This does not mean the call wasn’t a good one. A good live insurance call or insurance lead is one that the person is genuinely interested in speaking with you about receiving an insurance quote. Once you provide an insurance lead or caller with a quote, it is important to follow-up with that person. You will need to have a way to schedule a call back and follow through so that you don’t forget. Having a strong consistent nurturing and follow-up system will lead to your writing more policies and getting more insurance referrals. 5. New car buyers should NOT be neglected. If an auto insurance caller is transferred to your office and doesn’t currently own a vehicle, it should NOT be viewed at as being a bad thing and a waste of your time. These new call buyers will mostly be financing the purchase of the new car and will be required, by their lender, to have full coverage. If you receive a call with someone wanting to know what the cost of coverage is on a particular type of car that they don’t own, you should try to help them by ‘giving them a quote for their current auto and then modifying it for a new car, to give them a ballpark quote. You should also suggest that they contact you while at the auto dealer, so you can give them a quote in real time, so that they can use that information to factor the price of insurance into their purchase decision. Being flexible and helping someone is a great way to build a long-term relationship with the insurance lead or caller. 6. Talk with the insurance lead or insurance caller to understand their total insurance needs. Always remember that someone who owns a car may need renter, condo or home insurance. They may have a need for health insurance, own a motorcycle, a boat or work for or own a company that needs commercial insurance. They may also have a spouse, child or family member that needs multiple forms of insurance. Developing a good rapport with the caller and truly understanding their needs will enable you to not only sell more policies but will enable you to deepen the relationship you have with your clients. 7. 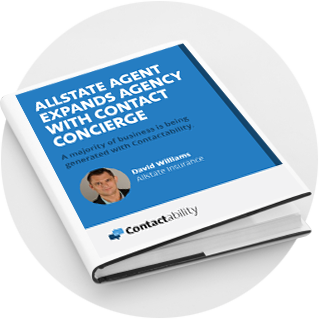 When you work with a company like Contactability, to receive inbound insurance calls or live insurance leads, they record all the calls sent to your office. These recordings allow you to go back and evaluate the performance of yourself and your team to improve the way you handle the live insurance calls. Unless you have a 100% close ratio, with every inbound call, you and your team can always get better. You should listen and objectively evaluate the insurance calls to identify things you can do better on every call. You should even evaluate calls where you have gotten the sale as you can always get better. 8. Take as many calls as possible. 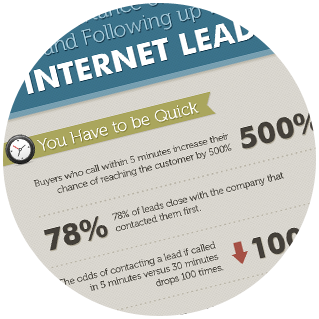 Selling insurance with inbound calls is a numbers game. The more insurance buyers you speak with, the more quotes you will send out and the more policies you will write. Working with a live insurance lead company like Contactability will allow you to take as many calls as you can handle. 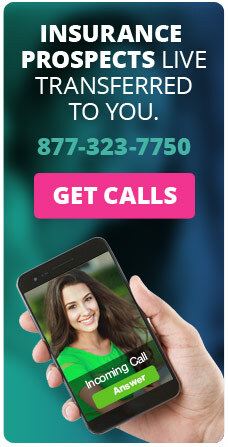 You can take calls statewide, without any filters and without a daily or weekly limit. If want to be a successful growing agent, you never want to limit yourself or your agency.